← Congratulations to Guylaine Saint Juste, Featured Co-Author in the #1 International Bestseller, Turn Possibilities Into Realities! 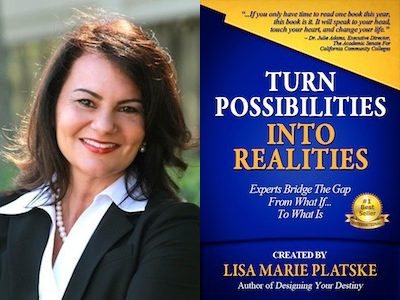 Congratulations to Victoria Villalba, Featured Co-Author in the #1 International Bestseller, Turn Possibilities Into Realities! Experts Bridge The Gap From What If… To What Is. Victoria Villalba is President and Founder of Victoria & Associates Career Services, Inc. Founded in 1992, Victoria & Associates is an experienced group of detail-oriented professionals providing employers with qualified employees to fill interim, replacement, and new positions. We deliver peace of mind through career candidates who add value to your business—as illustrated by our referral history and growing list of long-term clients. Her career has included work in the area of HR consulting, Recruitment and Staffing within diverse industries. Over the past 23 years, she has served on numerous boards and volunteers with many organizations. Her passion is giving back in South Florida in the community in which she lives, works, and plays.